We wanted to nominate our very own PR and Marketing Manager, Emma Lloyd. After reading about Suzy, her short life, her achievements and her personal attributes, we knew Emma was someone who could honour her legacy. 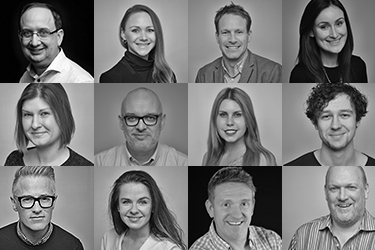 At TLC Marketing, Emma has been part of the magic behind many bold and creative campaigns: from holding a ceramic Ted Baker parrot hostage to creating our very own ‘Top Trends’ game and even sending out a giant chip fork to celebrate the nations love of fish and chips. Emma isn’t afraid to break the rules of B2B Marketing. Passionate about helping people, Emma has recently led an internal charity initiative in aid of the Spitalfields Crypt Trust (SCT), encouraging the office to donate Christmas gifts before hand-delivering the presents herself. Emma is determined to do more for SCT and we have some exciting meetings with the charity coming up soon. Outside of work, Emma’s most recent charity target is to help CALM (Campaign Against Living Miserably), a charity dedicated in trying to prevent male suicide. 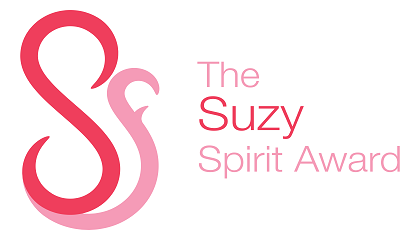 The Suzy Spirit Award is now in its fifth year and for the first time ever, is featuring at this years PRmoment.com Awards. On the 8th of March, Emma will attend an event at the Lewis Offices where Suzy was an employee. This a chance for Emma to meet the judges as well as take part in promotional and marketing activities. The winner will be announced on the 22nd of March at a ceremony taking place at the Park Plaza, Westminster Bridge.